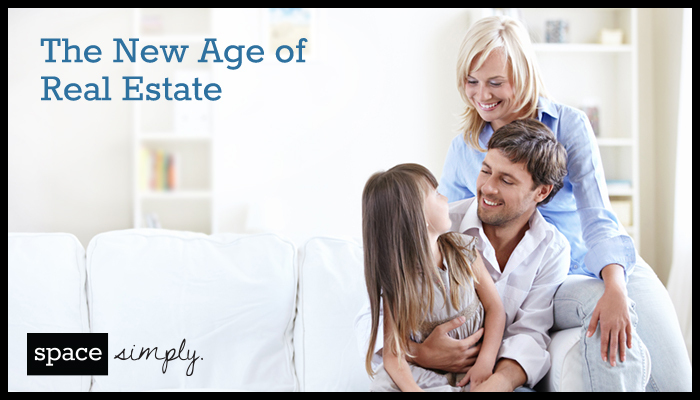 Due to advancements in technology and the development of the Internet, the way homes are being bought and sold is rapidly changing. The Internet has become the most beneficial tool available to buyers, sellers, and agents. Space Simply was created to help buyers and sellers better utilize these advancements in technology while partnering with a licensed full-service Realtor at a lower cost. Traditionally, when homeowners sell their homes through real estate agencies, they agree to pay a percentage-based commission. The national average commission rate is 5.1 percent but in Iowa, the average commission rate is 7 percent. The days of a 7 percent commission are behind us! Space Simply was created to help buyers and sellers capitalize on the benefits that come from hiring a real estate agent, at a lower cost. It is the desire to avoid the expensive commission that leads many individuals to navigate for-sale-by-owner home sales. Owners, who choose to sell their own home, can keep more proceeds from the sale, but they also have to coordinate all of their own showings, negotiations, and closing processes. It is often the legal paperwork, fees and contracts that prove to be the most daunting tasks. Further, the Multiple Listing Service (MLS) is also not available to individuals selling their home unless they have a licensed agent working with them. The MLS provides listings with the access and exposure necessary to get the home noticed. This visibility is especially important since 90 percent of buyers start their search on the Internet, and 80 percent of agents utilize the MLS listings to show homes to their clients. Space Simply provides anything and everything an individual would receive from a traditional Realtor at a lower cost for a listing. How Does Space Simply Work? The defining characteristic of Space Simply is that homeowners receive the same (if not better) service and access to the same technologies and tools that traditional real estate agents provide at a lower cost. Wondering how the process works? It is very simple, with only five easy steps! When you decide to list your home with Space Simply, we take the stress out of the equation. Space Simply will prepare a comprehensive market analysis to help sellers establish the ideal listing price for their home, in comparison to equivalent homes nearby. In addition, Space Simply will present the seller with staging suggestions and proposals for home renovations - both necessary and to make the home more appealing to buyers - to help homeowners achieve the highest possible offer for their home. When homeowners list their property with Space Simply, they secure all of the benefits associated with traditional, full-service real estate agents, at a lower cost, flat rate on the listing side. Listings are accessible on websites that utilizes the MLS including Zillow, Trulia, HomeFinder, Homes.com, and many more. Beyond just the MLS listing, sellers also have access to a Realtor lock box, marketing materials, yard signs and all other collateral used for promoting their listing. This part of the processes often causes headaches and stress for sellers, but with Space Simply all appointments and showings are coordinated by Space Simply. Feedback is also provided from the potential buyers after each showing. This feedback allows the seller to gauge whether their home is properly priced, what adjustments need to be made or work the potential buyers want to see and much more. Collaborating with Space Simply makes the negotiation process straightforward and easy to navigate. Space Simply negotiates with the buyer to achieve the maximum final offer possible and also coordinates inspections, updating abstracts along with all necessary paperwork that is part of the agreement. Like every other step of the selling process, Space Simply takes care of everything involved including closing documents, proceeds checks, paying contractors and final negotiations. Selling a home does not get any easier than this! The foundation, which the company is built on, is providing the highest quality service to customers while respecting their desire to protect the investment made in their home! What will you do with the extra money Space Simply can save you? Whether you use it for your home on renovations, new appliances or new furniture or if you choose to take a vacation or pay off debt, we want to know. Reach out today and let us know, we look forward to hearing from you! And save on your largest investment! Connect with us online or contact us at (515)423-0899.